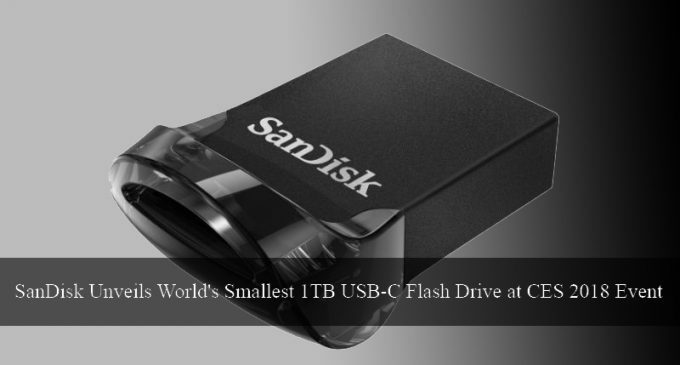 The SanDisk flash storage company has unveiled the world’s smallest USB flash drive smallest 1TB type-C prototype flash drive at the International Consumer Electronics event 2018. Also, they launched the world’s smallest SanDisk 256GB Ultra Fit USB 3.1 Flash Drive. 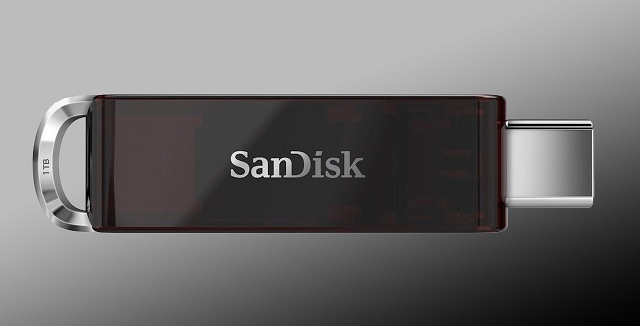 While nothing much is known about the smallest 1TB USB Type-C drive, the SanDisk Ultra Fit USB 3.1 Flash Drive was actually launched at the event. The SanDisk has also released two portable Solid-state drives. At CES-the International Consumer Electronics Show 2018, they offered a preview of the future of flash storage. It demonstrated the new 1 Terabyte USB device, which is a USB Type-C flash solution capable of memory, a big amount of content in a small form factor. The USB Type-C makes the flash drive is very flexible. You can use this device with latest Android smartphones. Also, PCs and Macs, SanDisk assured that the file transmission will be faster than before. The Smallest 1TB USB Type-C flash drive is still under the prototype segment. SanDisk has assured to launch more alike USB Type-C flash drives in a short period, but it takes some time before they start shipping their smallest 1TB USB Type-C flash drive. There is no news about the price range of the product.